Stephen Daedalus, James Joyce‘s alter ego, knew exactly what he wanted to be: an artist. He also knew that Dublin restricted society was not the most fertile soil where his artistic vein might attain and blossom. Differently from Eveline, he was determined enough to turn his back to a present made of family expectations and people who loved and knew him in order “to live, to err, to fall, to triumph, to recreate life out of life” and explore “all the ways of error and glory. On and on and on and on!”(A Portrait of the Artist as a Young man). 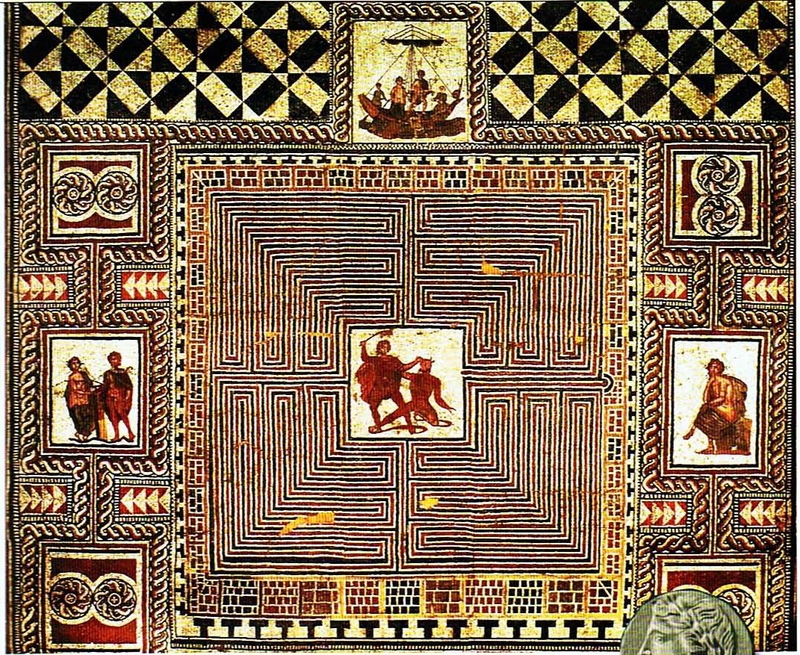 He was the Daedalus, after all, he who could flee from that labyrinth represented by Dublin. Had he stayed, he would not have been able to express his talent, thus becoming the martyr of art, as his first name seems to predict, as St. Stephen was the first martyr of Christianity. But martyrdom was not in his fate, hence, once put on his wax wings, he quitted as soon as possible with not so many regrets. What would the right decision be, then? Did Joyce’s choice to go into self-exile assured him that happiness that apparently Eveline was denied by remaining at home or not? Not exactly. Freedom does not necessarily mean happiness. For example, once in Argentina, Eveline might have found out that Frank was already married with children or that there was no trace of that home she had so longed for, but she had to live with her sick mother in law and look after her, while Frank was somewhere around the world on a ship. Hence, alone with no family and friends in such a foreign, distant land, who might have helped her? The Italian writer Giovanni Verga, would have certainly supported Eveline’s choice to stay. Verga was convinced that all men were subjected to a merciless and cruel fate that condemn them not only to unhappiness and pain, but to a condition of immobility. Those who try to escape from the condition in which destiny has placed them cannot find the happiness dreamed, but undergo more suffering. Particularly those who belong to the group of the weak, and Eveline was one of them, need more protection and must stay connected to those family values they have grown with as an oyster clutched to a rock, in order to survive and avoid that the world, like a big powerful fish, may devour them. Verga developed the so-called “ideal of the oyster” in his novel: I Malavoglia (1881). There is little house by a medlar tree in the picturesque little village of Aci Trezza in the Province of Catania (Sicily). 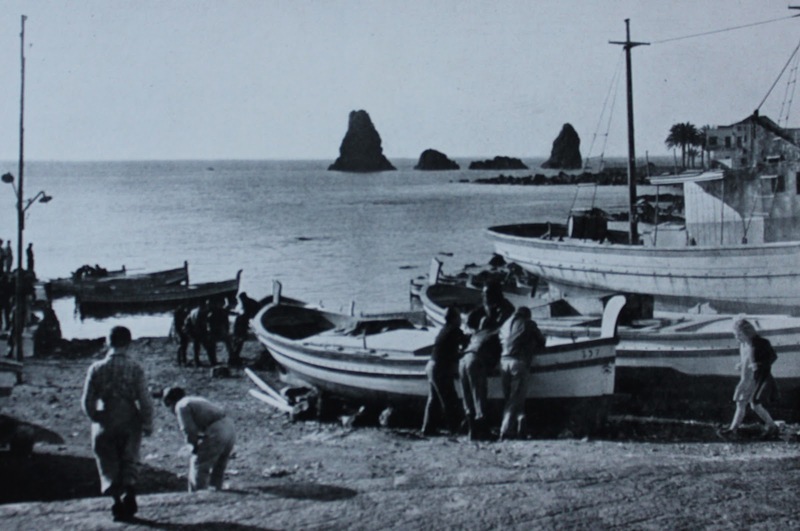 The Toscanos, a numerous family of fishermen live there. Although they are extremely hardworking, they have been nicknamed the Malavoglia (The Reluctant Ones). The head of the family is Padron Ntoni, a widower, who lives with his son Bastian and the wife of the latter called Maria and their five children. 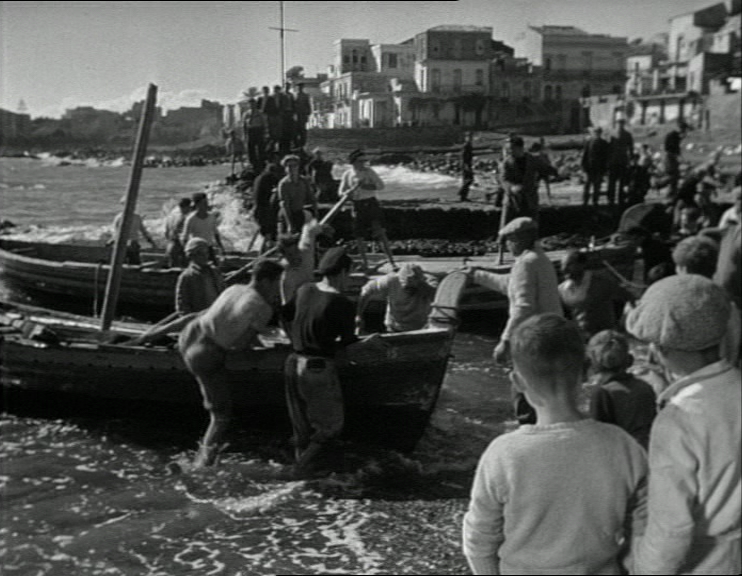 Their main source of income is la Provvidenza (the Providence), a small fishing boat. But when Ntoni, the eldest of the children, leaves for the military service, Padron Ntoni attempts a new business and buys a large amount of lupins, in order to try and make up for the loss of income which the absence of his nephew will cause. Rocks are harsh and sharp, but as long as you are clutched to one them, you are safe. 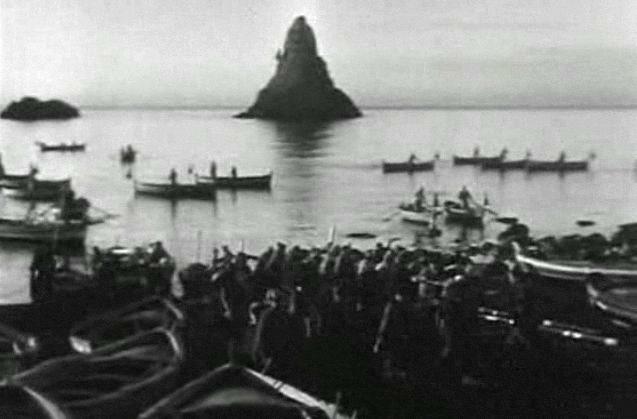 Starting a new business, Padron Ntoni attempts to leave his rock to swim in a new sea, hoping to find maybe a better one, but his choice will eventually lead his family to a disaster that will mine their unity. Bastian and the merchandise are tragically lost during a storm, furthermore there is the debt caused by the lupins which were bought on credit and the boat mean to repair. As this were not just enough, a long series of misfortunes will follow till the beloved house near the medlar tree, symbol of the unity of the family, has to be sold in order to repay the debt. In the end, only Alessi, the youngest of the brothers, the only one who had remained a fisherman, manages with his hard work to rebuild the family fortunes to the point at which they can repurchase the house by the medlar tree. Padron Ntoni, who is now old and sick at the hospital, is informed of the good news. It is the last moment of happiness for the old man, who dies on the day he was to return. His last wish to die in his old house, on that harsh and sharp rock will never be granted. I guess everybody is familiar with the story of the three Wise Men who had ventured to visit the baby Jesus in Bethlehem. After a long, tiring journey, the Magi seemed to have lost their way, but thanks to the help of the comet star that had lighted up and pointed them the right direction, they eventually succeeded in reaching their destination. At the end of that journey they were recompensed by the sight of the physical manifestation of the son of God on earth: Jesus. This event is called Epiphany (from the ancient Greek ἐπιφάνεια, epiphaneia: manifestation, striking appearance), that is, a moment of a sudden revelation. 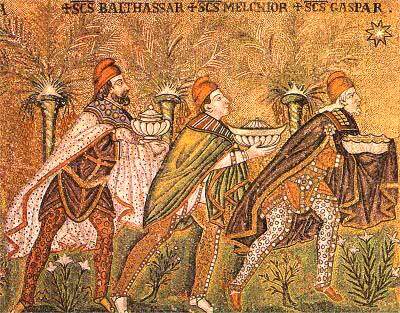 Actually this narration may have another symbolical interpretation, as the journey of the Magi may also represent the crisis of the modern age, where men, as modern Magi, seem to have lost many of their certainties and desperately need a focus, represented by the divine illumination of the comet, to direct them to that truth they need to give meaning to their hollow lives. James Joyce makes his alter ego Stephen Daedalus lecture on the nature of epiphanies during a discussion with his friend Cranly on Aquinas’ s interpretation of beauty. An epiphany is ” a sudden spiritual manifestation” which may be provoked by “the vulgarity of speech or a gesture or in a memorable phase of the mind itself” (from Stephen Hero), it is a moment of claritas that leads to the truth, the quidditas, as Aquinas would say. 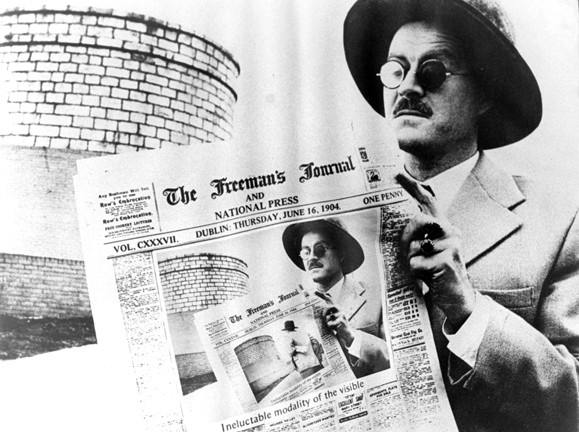 Joyce experimented the epiphanetic kind of writing especially in his early production and particularly in Dubliners to abandon it gradually. 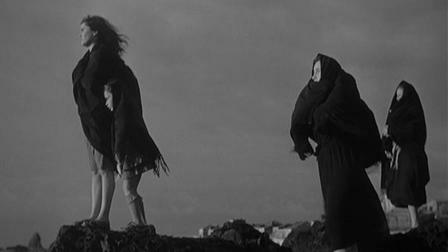 In Dubliners each character experiences one or more epiphanic moments, but Joyce seems to say that this is not enough to awake them from the state of paralysis that dominates their minds, therefore being unable to change their lives and reverse the routines that hamper their wishes, they are all destined to fail. 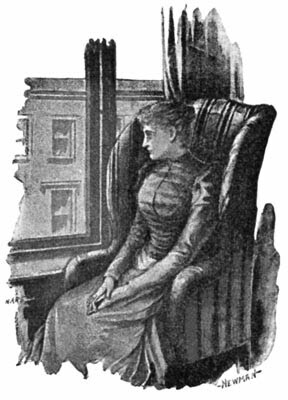 For example the protagonist of Eveline, one of the short stories included in Dubliners, has the chance to radically change her life, but she hesitates She has been sitting at the windows for hours till the night “invades” her soul, forcing her to take a decision. Time is running out: should she leave that night with her lover and re-create a new life in Buenos Aires or should she just keep on looking after her family as she had promised her mother? Happy and sad memories fill her mind and contrasted feelings as well, till she hears a “melancholy air” that reminds her of the very last moments she was at her mother’s deathbed. Everything becomes clear. She suddenly understands that she has to abandon any hesitation and escape(claritas) if she doesn’t want to end up miserably like her mother (quidditas). She must go away. 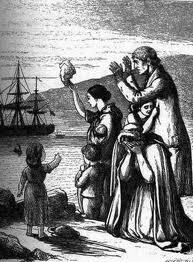 But when Eveline arrives at the docks, all her determination fades away. The illuminated ship that would take her to Buenos Aires is only a black mass for her (claritas) and the joyful whistle of the boat becomes a mournful lament (claritas). 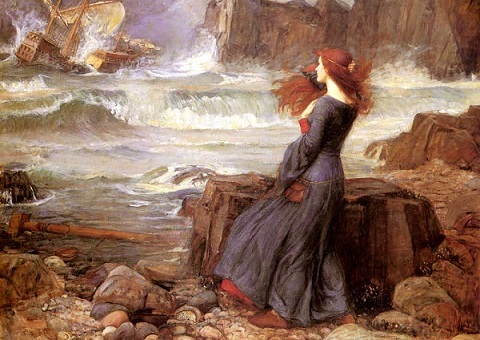 She feels that if she left, the sea would engulf her(claritas), therefore overwhelmed by a paralyzing fear she refuses to leave (quidditas) and prefers a hopeless present to a hopeful, even if uncertain, future. She just couldn’t do it. There are moments in life when you can see no way out. Responsibilities, troubles, duties seem to absorb the very essence of your being leaving no room for comfort, hopes, joy. The world that surrounds you, thus takes the form of a labyrinth that seems to engulf any desperate effort to escape. The fear of the “Minotaur” weakens any sparkle of determination to find a way to break that crystallized state of the soul and you believe yourself hopelessly doomed to misery. 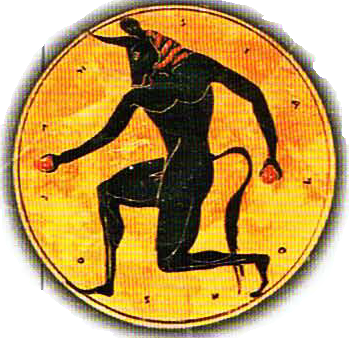 And yet, any labyrinth has a way out; you’ve got see it, otherwise the “Minotaur” will be there, waiting for you. Joyce‘s labyrinth was Dublin restricted society, which didn’t allow him to be what he really wanted to be: an artist. He thought that his only chance was, what he called, self-exile, that is, going away, no matter how hard it was to leave the people who knew you, crush your family’s expectations, thus turning your back to the past in order “to live, to err, to fall, to triumph, to recreate life out of life “(A Portrait of the Artist as a Young man). That’s why he chose as his alter ego in A Portrait of the Artist as a Young Man and Ulysses the character of Stephen Daedalus. In that name there is his fate of freedom (not necessarily happiness). 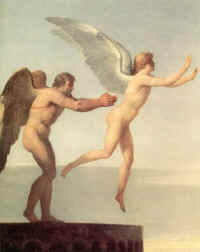 Stephen’s first name recalls the first martyr of Christianity – he was stoned to death for blasphemy – just to remark that he felt himself the martyr of the Irish society, in juxtaposition, his surname recalls to the mythological figure of Daedalus, who was both the inventor of the Labyrinth and the wax wings that allowed his son Icarus and himself to escape the island of Crete (his maze) and the dangerous Minotaur. Just like Daedalus, he would be brave enough to flee from the labyrinth/Dublin to find a better fortune. For one who did it, there is another one who just couldn’t escape the monster who was devouring her will: Eveline. Eveline, was only nineteen and her life had always been marked only by responsibilities, frustration, hard work and grief. Her mother had left her alone too soon and now she had to work, look after her younger brothers and protect them and herself from their violent father. She had made her mother a promise right before dying: to keep their family united as along as she could. She felt that she could, or better, should have done something to escape her maze, maybe accepting to leave with her lover for Buenos Aires to be married and have her chance to happiness; but for her and the other protagonists of the Dubliners that solution seems to be impossible. Joyce called his protagonist Eveline, to stress her fate of failure. Her name is, in fact, the combination of two words: eve and line. An ” Eve” is the day before an important day or a celebration, while “line” symbolizes life. Therefore Eveline’s destiny will be that of living in constant eve: she will never be able to act, to enjoy the feast of life. From the very beginning of the short story Eveline seems to be unable to act. It is the night she has planned to leave, but there is neither emotion nor joy in her words, but rather that night that represents very likely, her only chance to leave her maze, is felt like an “invasion” of her inner self. She has been sitting at the window for hours and only when she recalls the image of her mother the night she had died, she realizes that “that life of commonplace sacrifices closing in final craziness” would have been also her destiny, not only her mother’s. For an instant she finds the strength to disentangle from the tentacles of her monstrous fear and quickly leaves her house to meet Frank, her lover, at the station. But when they reach the quay and she sees the ship that will take her to her new home, her hidden Minotaur surfaces and gradually devour her weak firmness. For her the boat becomes a “black mass” even if its portholes are illuminated, and its whistle seems like the whistle of death : “mournful“. A sort of mist start to confound her mind and she feels like drawing. Her Minotaur has won. She will remain in the labyrinth forever “like a helpless animal“.